Rather than opting for rear-seat entertainment offered with the Buick Enclave, we'd suggest that you just buy your kids a pair of iPads instead. The 2015 Buick Enclave is one of the safest crossovers money can buy, and it impresses with its plus-sized chic styling and appointments. The 2015 Buick Enclave, now in its eighth year, continues to provide stylish, flexible, and practical transportation for five to seven people and their possessions. By now its look is almost classic, and after a mild styling refresh a few years ago, the Enclave carries on with very few changes for 2015. A heated steering wheel is now optional on certain high-end trim levels, and there's a handful of new paint colors. Otherwise, the big crossover utility vehicle offers a more luxurious version of a vehicle with the same underpinnings as the less-pricey Chevrolet Traverse and the rugged GMC Acadia. The Enclave was the first truly striking design from Buick back in 2008, and its handsome lines have reset a lot of buyer stereotypes over the years. Of the three large GM crossovers that share the same basic underpinnings, the Enclave is by far the most appealing to our eyes, from the chrome waterfall grille to its slight Coke-bottle shoulder line over the rear wheels. 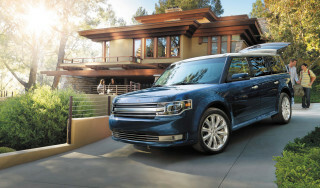 Both its lines and its features add class and comfort to a vehicle that, when you come right down to it, serves many of the same purposes as the much-reviled minivan—though, of course, with available all-wheel drive, now a must-have for family vehicles. The biggest SUV offering from Buick is still powered by the same 288-horsepower 3.6-liter V-6 it's had for years. 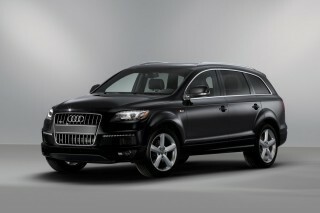 Power is shifted through a 6-speed automatic to the front wheels only, or to all four corners through all-wheel drive. Updated control software last year removed some of the six-speed's indecisiveness; the transmission hunts less and better handles the Enclave's prodigious weight. The Enclave's 24 mpg rating on the highway is on par with the rest of its class. The Enclave rides well with a new suspension that was added last year. 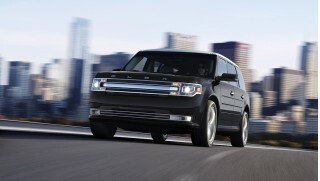 It's smooth and responsive for a vehicle of its heft and size. Despite improvements, it still rides like a big crossover, but it manages to be predictable in the way it handles. But back to that practicality-of-a-minivan idea: The Enclave holds up to eight passengers and offers good standard equipment with reasonable handling and fuel economy. There's flexible in the seating configuration and its a strength for many considering the big Buick as a replacement for a minivan. The front seats can be heated and cooled, and the Enclave is an excellent family vehicle, although we wouldn't put many adults in the third row for long stretches. Behind the third row, there's 23 cubic feet of space for cargo, and by folding down the second and third rows that space balloons up to 115 cubic feet. The Enclave is the perfect suburban weapon for weekend hauls from big-box retailers. Safety is one of the Enclave's first priorities and Buick recently added a new front-center airbag that can help keep driver and front-seat passenger safe in a side impact. Advanced safety features such as lane departure warnings, forward collision alert, and blind-spot monitors with rear cross-traffic alert are available. Buick's latest infotainment system, dubbed IntelliLink, helps propel the Enclave to the front in connectivity and user interface. Bluetooth hands-free calling and audio streaming is available here, as are apps for internet radio including Pandora and Stitcher. This year standard equipment includes HD and satellite radio, a rearview camera, and voice recognition for some infotainment functions. Optional equipment includes a 10-speaker Bose audio system. Softly styled sheetmetal and a richly detailed cabin are the highlights of the Buick Enclave's appeal. Even six years into the current design, the Enclave hasn't aged poorly, thanks to its handsome styling and sweeping lines. That's especially noticeable when you compare it the somewhat shapeless Chevy Traverse and very angular GMC Acadia, both of which share all of the Enclave's mechanical bits. 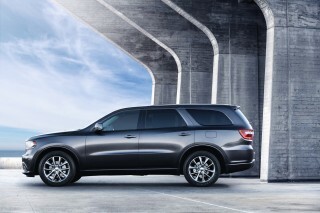 The Enclave's smooth ride and quiet cabin have been made more impressive since its debut. The dash has hints of an Art Deco theme, without being cliche. (Maybe the analog clock on the dash comes close.) It's reserved and elegant, even the big touchscreen that was added last year doesn't muddle the composition. New interior materials have been upgraded from hard plastics to soft-touch materials with stitching. We'd revise some of the details if we could. The interior accents are good looking without being distracting, although we'd mute the C-pillar that breaks up some of the large expanse of glass that helps give the Enclave its grace. We'd knock out the hood's "ventiports" that don't add any functionality and look like Buick designers have made a trip down to the local auto store for budget enhancements. It's not exceptional in its class, but the Enclave accelerates and handles with the best of its peers. Buick offers only one drivetrain for the Enclave, and while it's not a rocket, we don't think you'll be disappointed in its smooth acceleration, even loaded down with family members. Front-wheel drive is standard and all-wheel drive is available for cold-weather shoppers looking to make it through long winters. The Enclave is rated to tow up to 4,500 pounds, which is adequate for the occasional toy hauls to and from the lake. The Enclave handles well for a crossover of its size, and in some ways out points luxury cars in those respects. Last year, Buick replaced front dampers and revised those in the rear for a more compliant ride. 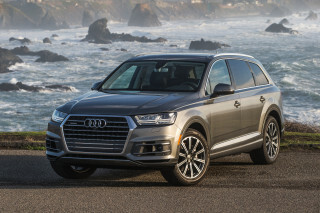 By opting for the bigger 20-inch wheels the ride becomes predictably harsher, although it still manages to be softer and more refined than other three-row crossovers. Steering is relatively direct in the Enclave, and it manages its tall center of gravity and sizable weight well. We won't say that the Enclave inspires enough confidence behind the wheel to forget that it's a big, heavy, tall vehicle; it still pitches and rolls in making quick directional changes and under braking the Enclave has more nosedive than most other vehicles we've driven—minivans included. The firm brake pedal feel is somewhat reassuring, we'll add. The corporate 3.6-liter V-6 is the only available engine in the Enclave, and it's shared with the GMC Acadia and Chevy Traverse. 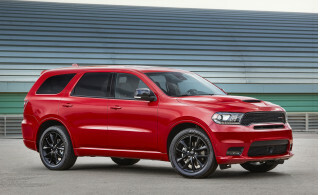 The V-6 makes 288 horsepower and is teamed with a 6-speed automatic that was developed with Ford, where it's used in the three-row Flex crossover. We've had our issues with the transmission, but last year Buick reprogrammed the unit to help resolve some of our gear-hunting complaints from earlier editions. Together, the Enclave feels more at ease with its sizable weight. Plenty of space for people and cargo make the Buick Enclave road-trip-ready. The Enclave is functional like a minivan, but finished to a higher standard than those family haulers. The upgraded dashboard introduced two years ago is covered in a soft-touch material with a richer feel, and the woodgrain is more discreet. In other places, the fit and finish of the Enclave is first rate. The cabin is spacious and comfortable with seating for up to eight people, depending on configuration. It many ways the Enclave acts like a minivan, with good cargo space and a folding third row, but without the stigma of a van. We get the appeal too. The Enclave is as comfortable as a full-size SUV, and it begins with the front seats. They're not bolstered as much as we'd like, but they are wide and well upholstered to fit many body types and offer a good driving and seating position that's high and in command. Heated and cooled front seats are standard or available on most models. Second-row passengers don't miss out on much either. The Enclave's chairs in the second row ride higher for a good view with adequate leg support. There's enough head room for tall passengers and the Enclave is big enough for adults in the second row to stretch—might we suggest yoga? The third row offers enough room for adults too, although we wouldn't suggest it for really long trips. The Enclave is one of the largest crossovers of its kind, and although getting into and out of the third row might be a challenge for some—other vehicles have a lower step-in height—the Enclave has a tilt feature for the middle row that can help. 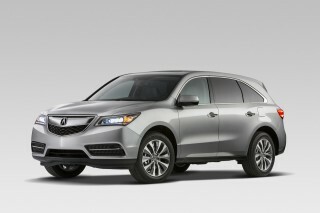 With the third row and three-across seating, the Enclave could be an ideal minivan replacement for some. With very good crash-test scores, the Buick Enclave is one of the safer vehicles on the road today. While the 2015 Enclave hasn't yet been rated by organizations that crash test cars, the vehicle has gone unchanged since last year, when it received some of the best scores you can find in any vehicle on the road today. Last year, all models received curtain airbags that protect all three rows of seats, front-seat side airbags, a center-front airbags mounted on the inboard side of the driver seat, and stability control. With the addition of new touchscreen interfaces, the Enclave gained a standard rearview camera in 2013. On the options list are blind-spot monitors with cross-traffic alerts, and this year, newly available forward-collision alert and lane-departure warning systems. Federal testers gave the Enclave a five-star overall rating (out of five) and the IIHS has given the Buick a Top Safety Pick nod in the past, although changing standards means that it misses the designation for 2015. The Enclave hasn't yet undergone the tricky front small-overlap crash test, which is now required for the honor, so we've had to adjust our ratings to reflect that. The Enclave gets pricey, but its infotainment system and luxury touches earn their keep. The entry-level Buick Enclave rings in just under $40,000, and it's well-equipped for the money. However, if you're looking for every option on the list, it's not hard to see the car blow past the $50,000 price-point, too. Major options include a navigation system and remote start, along with 19- and 20-inch wheels, a head-up display (HUD), heated and cooled front seats, and a rear-seat DVD entertainment system. Upgraded models also receive a heated steering wheel for 2015. IntelliLink is a refreshing upgrade for the Enclave in recent years. 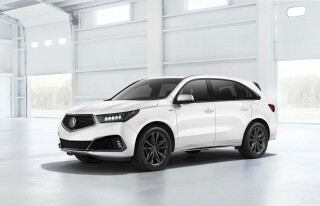 It vaults the Buick crossover into the forefront of some technology realms, especially smartphone connectivity. Relatively simple Bluetooth connectivity opens up phone functions and audio streaming, and access to internet-streaming radio apps such as Pandora and Stitcher. Last year, Buick added Apple's Siri EyesFree that added voice search and the ability to read out loud text message. Every Enclave comes equipped as standard with power locks, mirrors and windows; AM/FM/CD/XM radio; Bluetooth connectivity; air conditioning; and cruise control. Navigation and a Bose-branded premium audio system with 10 speakers are optional. A rearview camera is included in the Enclave, which is useful for backing up the big body. HD radio, USB connections, and voice recognition are all useful and standard. Fuel economy looks mediocre overall, but balanced against the Enclave's passenger-toting capacity, it's quite good. The 2015 Buick Enclave has been rated by EPA, and there's not much change from the 2014 model year. On the EPA test cycle, front-wheel-drive models earned 17 mpg city, 24 mpg highway, and a combined 19 miles per gallon. While that's not far off from other vehicles in its class, those numbers can be hard to swallow when so many family sedans today earn upwards of 35 mpg on the highway. 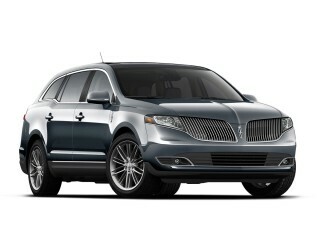 I feel like I'm riding in style when I drive my enclave. 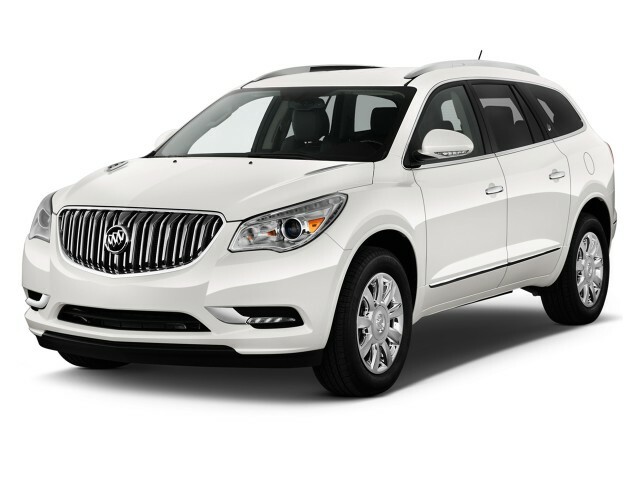 The Buick Enclave has a great smooth ride with luxurious interior design and construction. The body design is great also. one negative, touch screen should be higher. don't like looking down and lose sight of road.